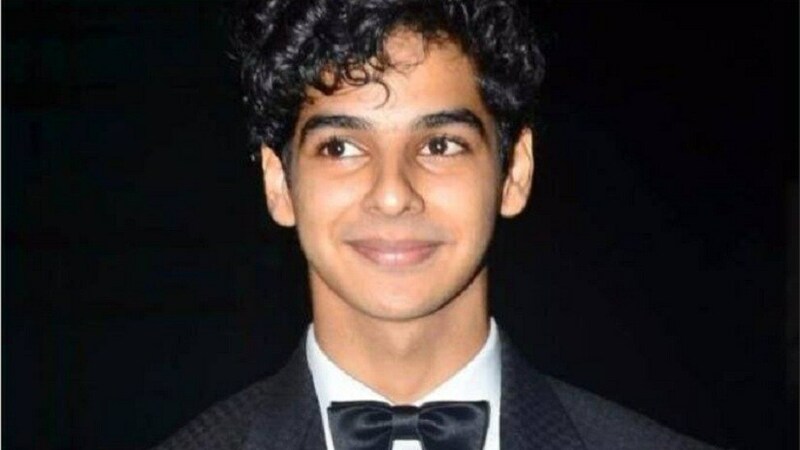 Budding actor Ishaan Khatter says his brother and Bollywood star Shahid Kapoor is an inspiring father figure to him. Khatter is gearing up for his debut film, iconic Iranian director Majid Majidi's Beyond the Clouds. Asked if he feels any sense of competition with Kapoor, Khatter told the media, "Shahid is a paternal figure to me. He is almost like a teacher. All my life I have learnt so much by watching him. I can't possibly consider him as a competition to me and in fact, I would say we are a team." 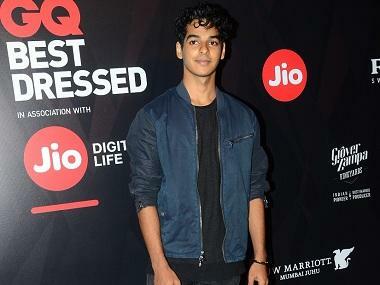 Ishaan Khatter. Image from Facebook. The actor was present for the trailer launch of the film along with Majidi, lead actress Malavika Mohanan and music director AR Rahman among others. Khatter said Beyond The Clouds is close to his "dream debut". "Of course, every aspiring actor has an image of a dream debut. For me, working with him is a special and learning experience. I look upto him." Did he (Khatter) discuss the role with Kapoor before signing the film? "I live with my mother, so of course, I talked to her about the film offer and then the person whom I shared the news with was none other than my brother. I felt very strongly about the film. He just told me to follow my heart. As you all know that I am also working with Karan Johar in my upcoming film; during that time, we were supposed to start the shooting of that film; so I went to Karan and talked about Majid sir's film. Karan was gracious enough to give me time so that I could finish this film, and then start the other one. So yes, these are the three people I had spoken to after I got the offer of the film," added the young actor, who will also feature in Johar's Dhadak opposite Janhavi Kapoor. Khatter bagged the award for Best Actor at the International Bosphorus Film Festival in Turkey. In his acceptance speech, the actor dedicated his award to his mother and Majidi. "This is an absolute honour. My mother is here in the audience — Everything I earn from my work will always, first and foremost, be dedicated to you. Thank you for giving me the gift of life and art. Firstly (for this piece of work) the award goes out to Majid Majidi - the masterful, wonderful, absolute legend of a man.. who trusted me and gave me this film as my first leading performance. Thank you sir and I will forever be indebted to you for that. I have to thank the cast and crew of this movie, we did this together. Malavika Mohanan — you and I will always share this experience. And thank you to Shareen, our producer. Thank you all," said Khatter, according to an IANS report. Khatter also talked about the entire process of finalising his look for the Majidi directorial. In the film, Khatter is seen sporting some interesting tattoos. "The process of finalising the look was incredibly detailed. I learnt a whole lot during the look tests, both from and about Majidi sir's process. He's extremely meticulous and every little change he makes adds an immense amount of character," said Khatter in a statement, according to another IANS report. Khatter will be seen sporting a barbed wire tattoo on his left arm and a scorpion tattoo on his neck. The positioning of the scorpion tattoo was also crucial to the story line of the film. "Both the tattoos were real fun to do, they're even more interesting because they're not made to be in your face at all," said Khatter. Beyond The Clouds is slated to release on 23 March.